3 Johnson’s Kosmic Sun over Karison. 3 Tuffin’s Othamcourt Woodchat at Oatberry. 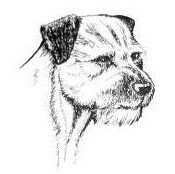 1 Levett’s Kyscafter Emrys, grizzle with very good head, nice balance in profile, good coat, moves soundly. Nice representative of the breed. 3 Moseley’s Benattivo Abiba for Abisu. 3 Irving’s Ch Dandyhow Sonata. 1 Speake & Tart’s Aurora’s Popcorn, grizzle with very good head & expression, nice neck, good topline, coat, depth, soundly constructed & moved accordingly.